Glacial Lake Missoula was a massive prehistoric lake in Western Montana created by the Cordilleran Ice Sheet creeping south, blocking and damming the Clark Fork River near present day Lake Pend Orielle. 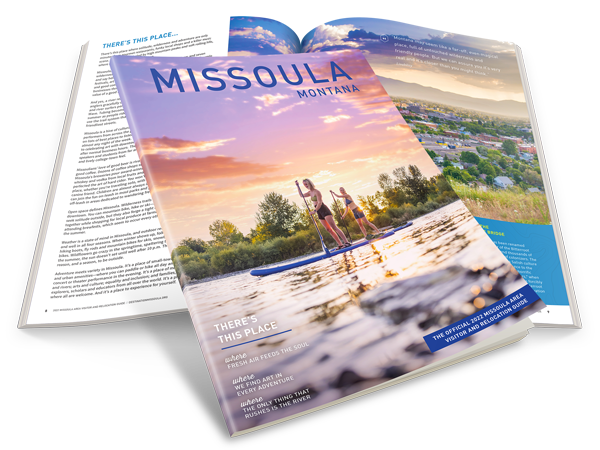 Named for the city that bears physical evidence of the lake, you can look high on the mountainsides in Missoula and still see the ancient shore lines. The lake was believed to have filled and emptied repeatedly from 13,000 to 15,000 years ago. From car-sized boulders swept miles from their origin, to the Channeled Scablands in eastern Washington, evidence shows the Missoula floods shaped much of Idaho, Washington and Oregon's landscapes. Geologists have been fascinated with the possibility of Glacial Lake Missoula since 1910 when J.T. Pardee produced evidence of the glacial lake, siting the shoreline marks around Missoula, MT. In 1923, J. Harlen Bretz first recognized the signs of massive, catastrophic flooding in Washington, but was unable to produce the source of water and was met with high opposition from a primarily Uniformitarianism society. Bretz spent his life working against geologists that believed the world was made by processes on a similar scale to those still observable today. The idea of a giant lake and subsequent floods was horrendous and met with much ridicule. Had Bretz and Pardee communicated more often they may have convinced the scientists of the day. However, it would take years of fieldwork by many individuals to put all the pieces of the puzzle together. It wasn't until the 1940's, when extensive fieldwork was brought forward, that most geologists would even consider Bret'z hypothesis about the floods as being conceivable, and many were still not fully convinced until aerial photos were available in the 1950's. However, complete acceptance by the Geological Society didn't come until the late 1970's, when satellite photos were taken, providing undeniable evidence that Bretz and Pardee were, in fact, correct. Bretz was awarded the Penrose Medal in 1979 at the age of 96 - geology's highest honor.